Ages 4 to 8 years. 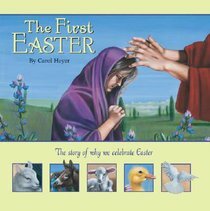 This book tells the story of why Christians celebrate the Easter holiday. The text recounts the events of the last week in Jesus' life, from his triumphant arrival in Jerusalem to his crucifixion and resurrection.